There’s a pub in my neighbourhood. It has one of the best patio’s in the city. And, on the first nice day of spring. I was there. Under this willow tree. Which was bursting with green. Spring green. A colour like no other. Against that bright blue sky. 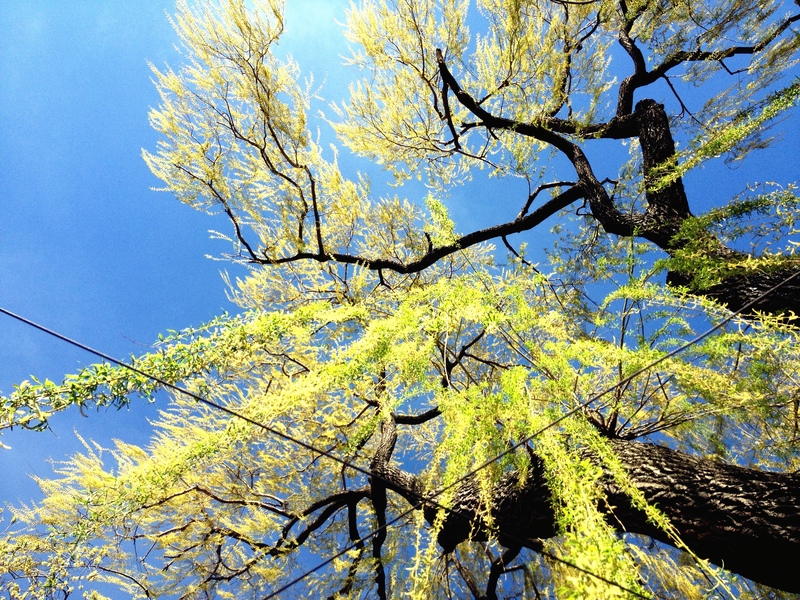 That spring green, that blue sky, that willow tree and sunshine. All that, and a half pint of Guinness with a good friend, made it the perfect kick off to spring. I’m not sure which. But, it was perfect.